Marie Bates Seeney, who wrote an account of her service as an Army nurse in Vietnam, was interviewed about her life and writing for WFLO radio in Farmville on July 26. While on active duty in Qui Nhon, she married another nurse, Bob Sweeney. 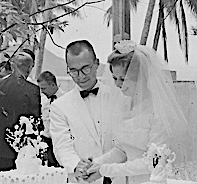 Their life together, her widowhood, and her life in Virginia are also recounted.